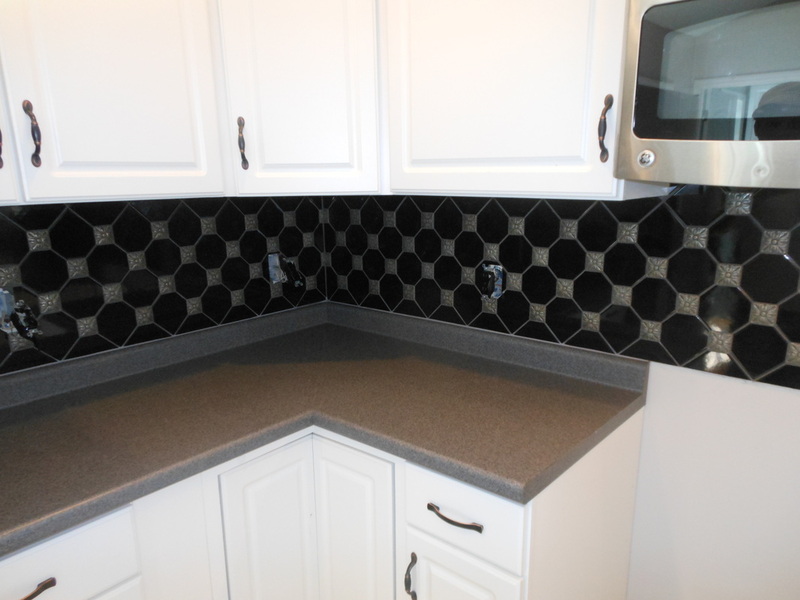 This glass was very thin and required hardibacker to be installed first to overlap gaps between the countertop and the wall. To conceal the edge of the hardibacker at the end of the wall a piece of a100 beige schluter profile was used. Glass can be tricky to install. This glass required a special glass blade to be cut. It is also best to install glass with white thinset as opposed to mastic as it is often possible to see through the glass. 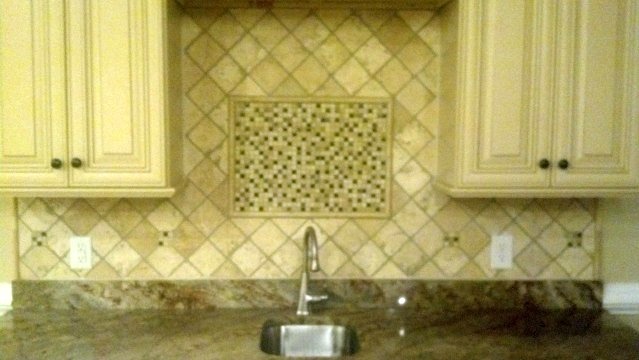 Centering the tile to the window in a kitchen often provides the best layout as the cuts on each side of the window will be the same. 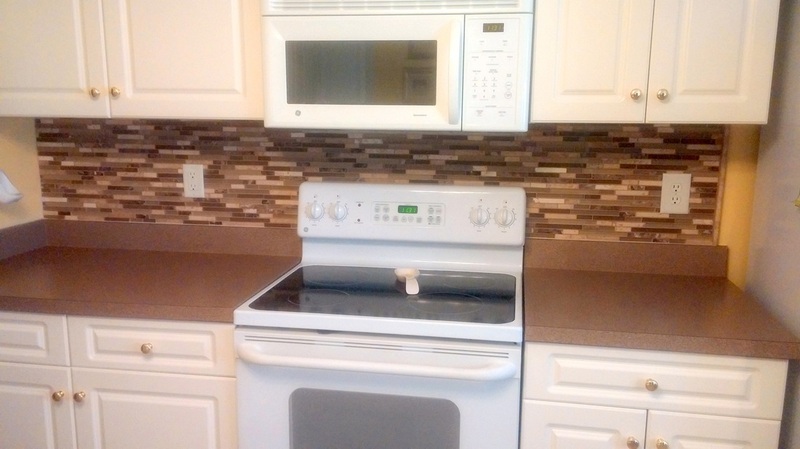 I think that excluding a 4" backsplash that matches the counter provides a better looking installation. 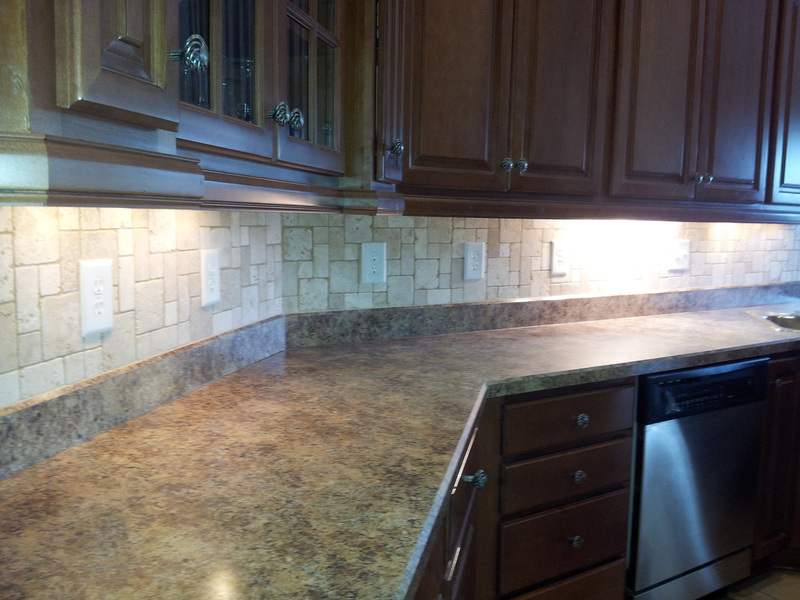 New matching stone cover plates where installed after backsplash was grouted. Matching caulk was used at transitions to prevent cracking. Stone and grout where sealed. 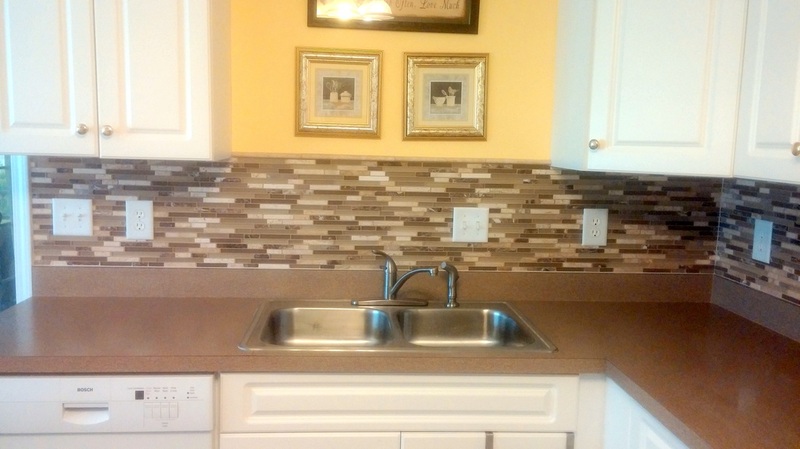 This kitchen backsplash is porcelain, but resembles tumbled travertine. Natural stone is porous and needs to be kept clean and well sealed to avoid staining. 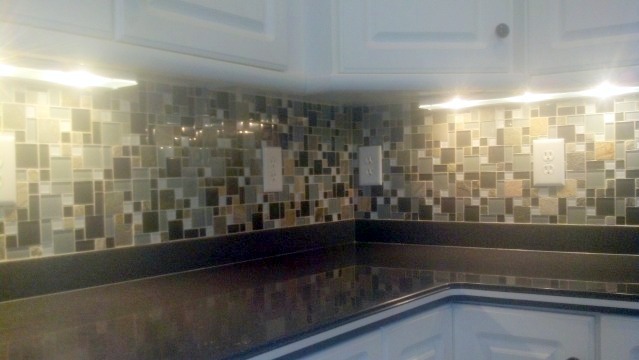 Using ceramic, porcelain or glass on a backsplash requires less maintenance. This limestone was installed on 1/4" hardibacker. Ofter times during a remodel the paper on the sheetrock may become damages and it is best to have a more suitable surface to bond to. 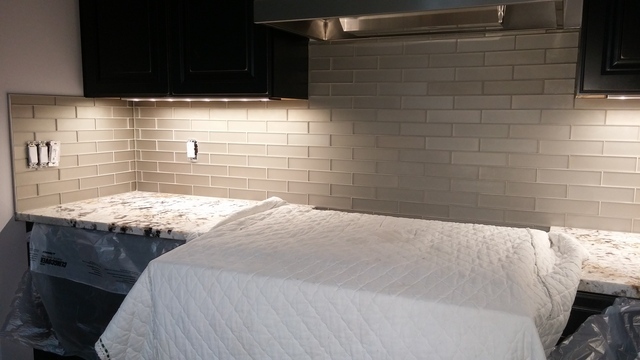 On this stone install I decided to group similar tile together to provide some character to the backsplash. 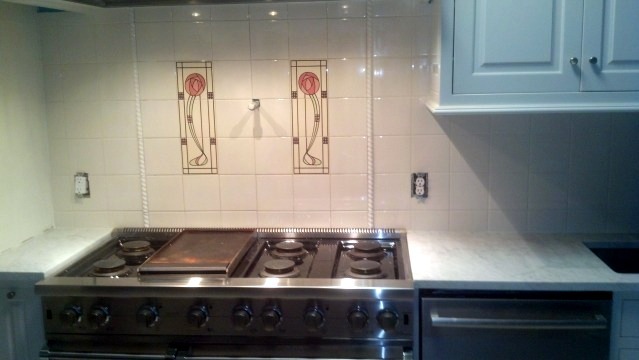 Sealer was applied to enhance the stone and seal the grout. 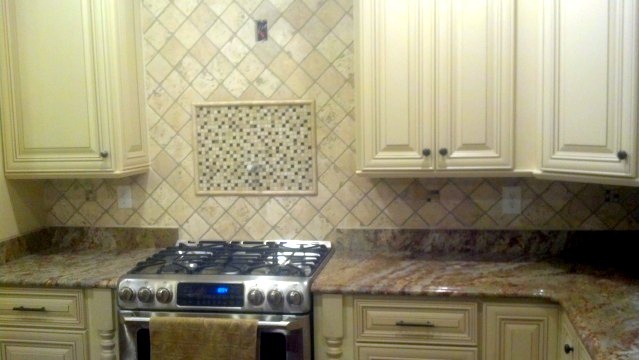 You don't always need to replace your countertops to enhance your kitchen. 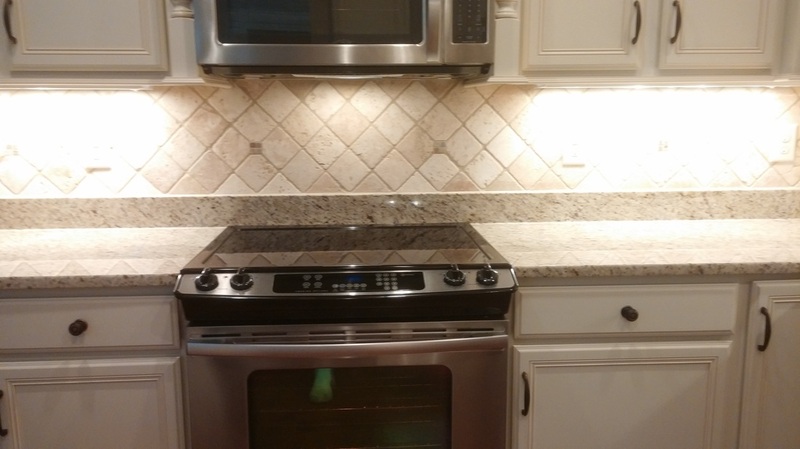 The addition of this stone backsplash above this laminate counter gave the kitchen a new look without a compleate remodel. 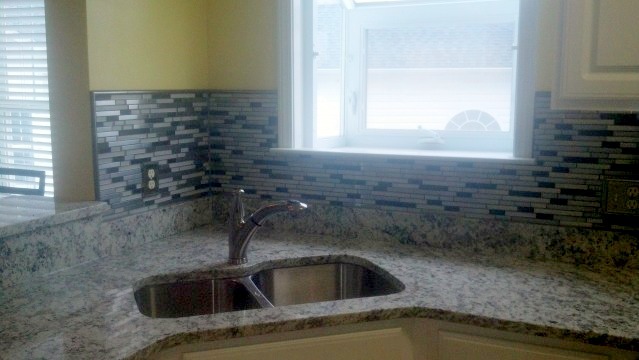 This glass and stone was bonded directly to the sheetrock with pro lite modified thinset. 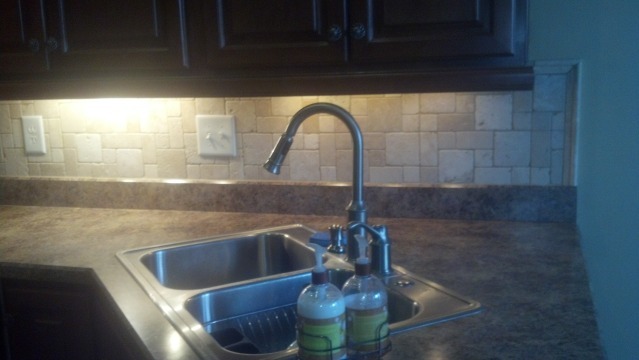 In most situations using a matching travertine pencil rail can provide the best end to a backsplash. Versabond modified thinset provided an excellent bond directly to this textured sheetrock. 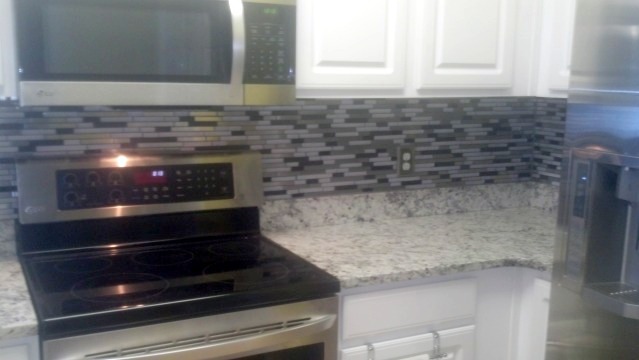 A 1/2" black rail provides some breakup in this all white backsplash. A black pencil edge was used to frame the glass/stone mix.